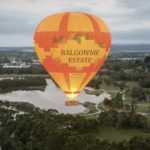 Famous across the world for food and wine, the Yarra Valley and Dandenong Ranges offers exquisite scenery of vineyards and natural wonderlands. Stay the night in a romantic bed and breakfast before letting your taste buds experience the highest quality of wines and foods. Climb aboard a hot air balloon at sunset and gaze upon the incredible scenery unfolding below. Explore the hidden secrets of the Dandenongs as you wander through the ranges and reconnect with nature.